During the surgery, Septal splints were installed and eventually would be taken out after a week . I could say that there was a reasonable amount of pain after the surgery, as if someone had hit it me with a broad side of a 2×4. I was told to expect about 2 weeks before I could resume normal activities. During the first week of recovery I slept in the recliner as to keep my head elevated. Saline spray was used to irrigate the sinuses. 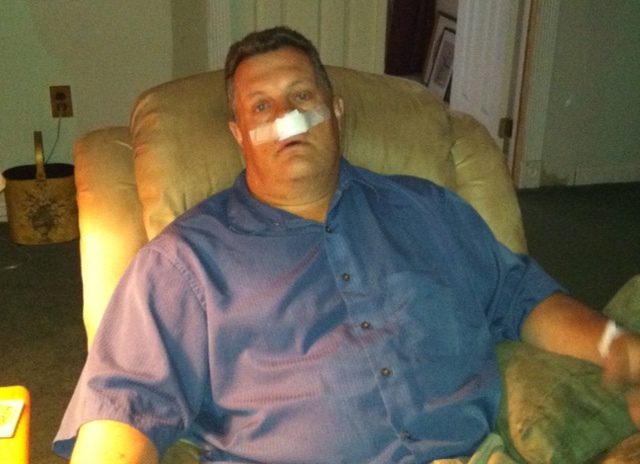 Here is a picture of me right after I got home from the surgery. Overall, the whole process went as expected. Hopefully the health benefits will be realized over time.